What prevents indigenous learners from access to pastoral education? How can we bridge the gap so they can succeed? Oaxaca, Mexico is one of the most linguistically diverse places on the planet. Geography and culture conspire to separate people groups from the majority culture. This is true within the church as well. The local church consensus is, we need to empower and educate pastors to minister in their own people groups. This is usually done through the Bible Institute system. But what about those who don’t, or can’t, fit into the traditional framework of full time Bible Institute? In education, we talk about “access” for all types of learners. What prevents these learners from access to pastoral education? The primary obstacle we encountered here centered around language and literacy. The language of academia in Mexico is Spanish, and this is true for Bible Institutes as well. 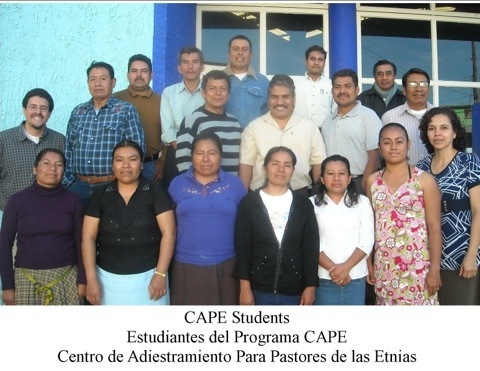 Less than a year ago, we received national approval to start a pilot program called C.A.P.E., to begin to respond to the needs of indigenous pastors who lacked Bible Institute education. C.A.P.E. (Centro de Adiestramiento para Pastores de las Etnias,) specifically targets those populations where Spanish is the secondary language, and students’ first language is that of their region, sometimes referred to here, as a dialect. All of the C.A.P.E. students are, by requirement, bilingual. For us, they are a living linguistic and cultural bridge to their communities. There are, however, some challenges. If the content level is too high for a student, they won’t be able to engage. Our duty as teachers is to either adapt the content level, or provide the helps they need to access it. Literacy instruction is built into the program, and also directly taught. This is a critical component for many in the indigenous community, who may have only a grade school level of reading. We have found the “Faith in Action” manuals in Spanish, to provide a content level accessible to the students, but with guidance and help. It is helpful to evaluate students’ reading levels when they come in, and routinely evaluate them. One of our teachers is a former Mexican grade school teacher, and is able to lend us her expertise. We have audio recordings of all printed text, so students can listen independently to model reading, while following along in their manuals. This has been an indispensable study aide for them. Many bread-winners and heads of household will find it difficult to meet the expense of travel and Institute cost. As missionaries working alongside local leadership, we are able to help in this area by keeping registration minimal and cover printing costs. The students do give free-will offerings. Secondly, we only offer one class per month on the weekend. Since this is a modified program, they receive 16 hours of direct instruction, and 16 hours are independent study at home. The point is, we should provide a flexible schedule that works for the region we are in. 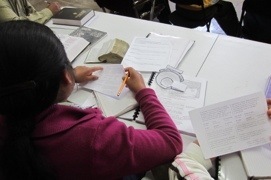 A Missionary-Educator is uniquely equipped to identify cultural considerations in teaching, (such as linear thinking vs. oral tradition, cultural norms and values) and personal modes of learning such as auditory, kinesthetic, visual, ect… We have five different language groups/cultures represented in one class. We as teachers are constantly assessing if we are presenting in a culturally appropriate way, and in a way that speaks to varying personality types. We encountered some culture “dissonance” regarding the “cut and paste” practice commonly used here with essays or other homework. Or goal is always to move gradually higher in the Bloom’s taxonomy of higher level thinking skills that demonstrate learning. Particularly as it pertains to academic learning, one of our goals is to prepare our students to enter higher level training programs such as ISUM and Facultad. We as a ministry body we need to evaluate ourselves in regards to the expansion of indigenous education. While we don’t yet have an ideal model, we strive to provide a practical alternative to the traditional Bible Institute. If we refuse to address the obstacles of the indigenous learner, and their ability to access pastoral education, then we have essentially decided to exclude them. We have the freedom, and the mandate, to provide access to those who have been waiting to take the Gospel to their communities. Catherine has been working among the indigenous of Oaxaca, Mexico since 2007 where she and her husband, Efrain, started C.A.P.E Bible Institute. They have been active in the training of new commanders for Royal Rangers, and have had opportunities to preach the Gospel in many small towns across Oaxaca. PREVIOUS POST Previous post: Ready for an Adventure! Excellant article Catherine.. We’d like to post it on the Facebook group for LACC Workers Among Indigenous..
You and Efrain have truly opened a wonderful door to so many in Oaxaca that want to reach their indigenous communities for Christ. 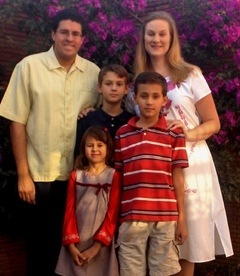 Thank you for such an inspiring example of missionary work in a place that we love, OAXACA!!! 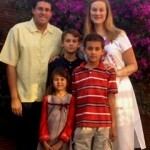 Thank you for the outstanding ministry that you and Efrain are doing. It is encouraging to hear how sensitive and perceptive you are to the needs of the people you serve. We are thankful that Faith & Action courses are helpful in both rural and urban areas. This past couple of decades I have had the privilege of talking with several members of college accreditation teams. One of the things they emphasize is that over the past 20 years accreditation has shifted to outcome based learning. This includes writing clear measurable goals, to the point content, integrated with interactive questions that guide students to process ideas on the various levels of Bloom’s taxonomy, and evaluating student progress through tests. In addition, accreditors encourage us to design curriculum that not only enlightens the cognitive domain, but develops the affective domain(values and character) as well as the psychomotor domain(skills). We have seen that the best series these days, such as the Encountering Series used by AGTS, continue to lower the reading levels, so students can climb higher on levels of learning taxonomies, such as those of Bloom and Simpson. With discerning missionaries like you and Efrain, we enable shepherd boys like David to slay the Goliaths of their culture, without forcing them to wear Saul’s armor, and thus ruin their opportunities to succeed. So thank you for the courage to create new models, and for being Spirit-led as you equip people at all levels for the work of ministry. For at the end of the day, we will want to be commended for training workers for the harvest, in ways that were the most culturally appropriate. Keep up the wonderful ministry that is flowing through you. Appreciate your article. I gained new insights into education in a different culture than I work in. Bless you for all you are doing! 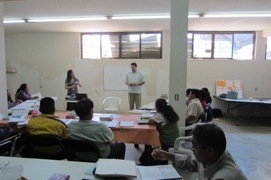 Thanks for sharing from the personal experiences of your lives where the Lord located you in Oaxaca. Your sensitivity to the personalized learning needs of the cultural diversity in the classroom, your determination to be Spirit-led and empowered and the insights you have gleaned in the process combine to contribute a refreshing pattern for teacher adaptability that leads students to successful learning. This paradigm worked for Jesus and the early disciples in the NT church, it still worked in the early days of AG ministry in LAC and you have reminded us that it still works today. One of your stated goals, that of conditioning learners to advance to higher levels of formal training such as ISUM and Facultad, inspires learners to reach their full potential. A practical case in point is Antonio, chief of the Ashaninka-Nomatzigüenga of the upper Amazon jungle of Peru. Antonio felt called to ministry. He applied himself earnestly to study the Scriptures in the remote, jungle AG Bible Institute in the tiny town of Mazamari. Upon graduation his burning desire to learn more prompted him to come out of the jungle once each year to study in ISUM. With BA in hand, his passion for learning continued. Antonio enrolled in the Facultad and set aside one month each year to come out of the jungle to study in the master’s degree program. He frequently brought with him one of his favorite foods–jungle worms–on which he feasted when he could take the city food no longer. After several years a delegation of several tribal encampments, representing the many indigenous people whom Antonio had led to the Lord came to the capital to celebrate Antonio’s graduation. Antonio has now gone on to be with the Lord at an early age but his wife and many pastors who he trained continue the Lord’s work throughout a large region of the jungle. Only God knows how many Antonio’s you and Efrain will train for the harvest. With your passion and purpose, Oaxaca will never be the same. Mexico will never be the same!